You've been thinking that it has been entirely too long since I posted a good dessert. 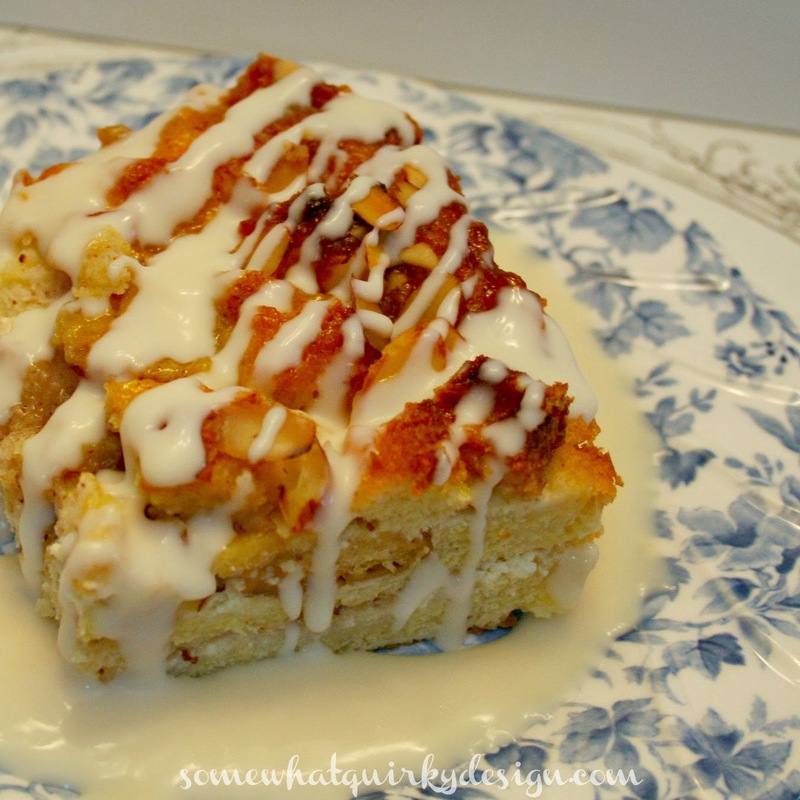 Almond Cheesecake Bread Pudding is here. It was a friend's birthday and he asked for cheesecake bread pudding or bread pudding. So I started looking on Pinterest. I almost missed the recipe. 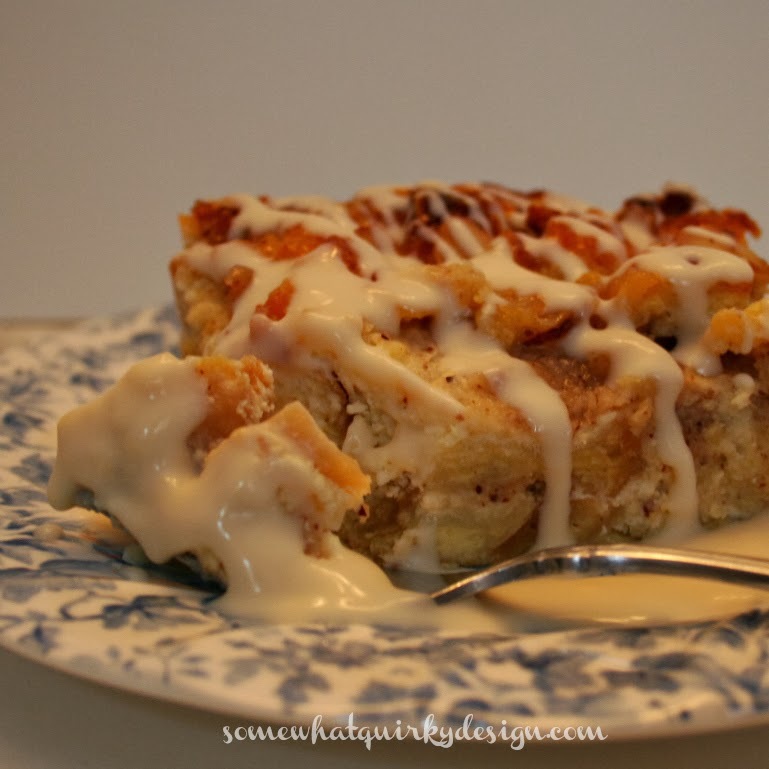 I wasn't sure if I was looking for a bread pudding cheesecake (like this one), or a cheesecake bread pudding. I figured since he asked for bread pudding I would go with the cheesecake bread pudding. And this recipe has a bonus - it is filled with almond filling. This recipe comes from Food.com but I think that the original recipe came from Southern Living. Coat a 13 x 9 inch pan with butter or cooking spray. Arrange 4 1/2 bread slices in bottom of prepared pan, cut slices as necessary to fit pan. Beat cream cheese, one egg, 1/4 cup sugar, and 1 tsp vanilla with an electric mixer until smooth. Wisk together 1 1/4 cups almond filling with 1/2 cup melted butter. Spread 1/2 over the cream cheese layer. Cut the remaining bread into 1 inch cubes. Spread cubes over the almond mixture. Whisk together remaining 8 eggs, 2 tsp of vanilla, half&half and salt. Pour over bread, cover, and chill for at least 30 minutes - until most of egg mixture is absorbed. Whisk together remaining 1/2 cup melted butter with 2 tbsp almond filling, 2 tbsp sugar, and egg yolk. 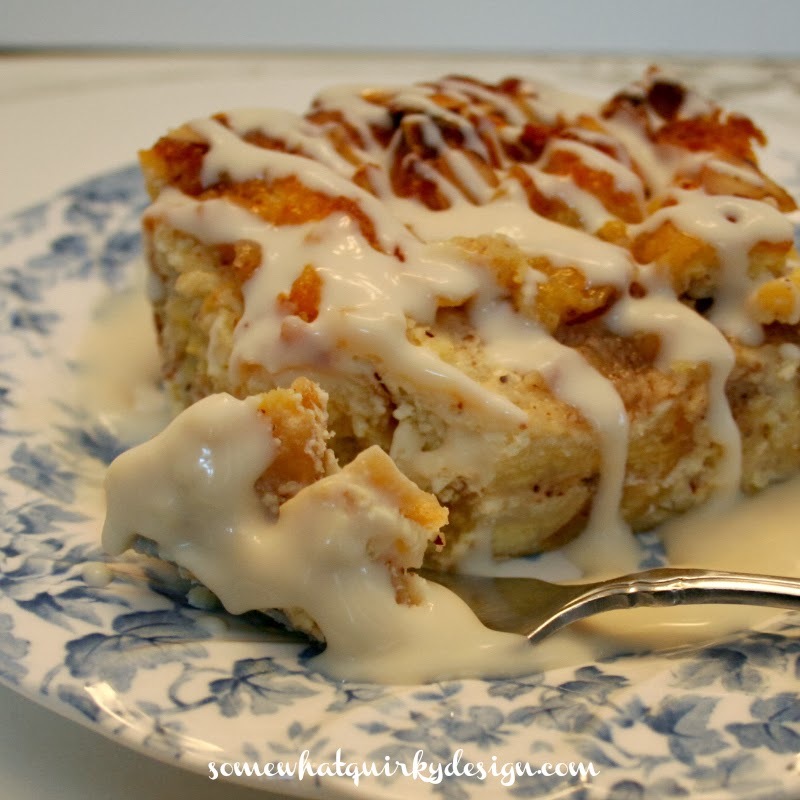 Drizzle evenly over bread pudding. Sprinkle with almonds. Bake at 325 for one hour or until set. Serve warm or at room temperature with Amaretto Cream Sauce. Combine Amaretto and corn starch and stir until smooth. Cook cream in a heavy saucepan over medium heat, stirring often, just until bubbles appear. Gradually stir in Amaretto mixture. Bring to boil over medium heat. Boil, stirring constantly, for 30 seconds. Remove from heat and stir in sugar. Let cool completely. Can you see how delicious this is? Wish I still had some. I have not had bread pudding for years. I remember my grandmother making it when I was a kid. Be still my beating heart! This looks so awesome. I love bread pudding and I love cheesecake and i love almonds! This is a keeper for sure and I pinned it to try! Thanks Karen..you are the dessert queen! I NEED a piece of that bread pudding for breakfast!! Looks delish!! Oh...my gosh that looks so incredibly good! I pinned it! 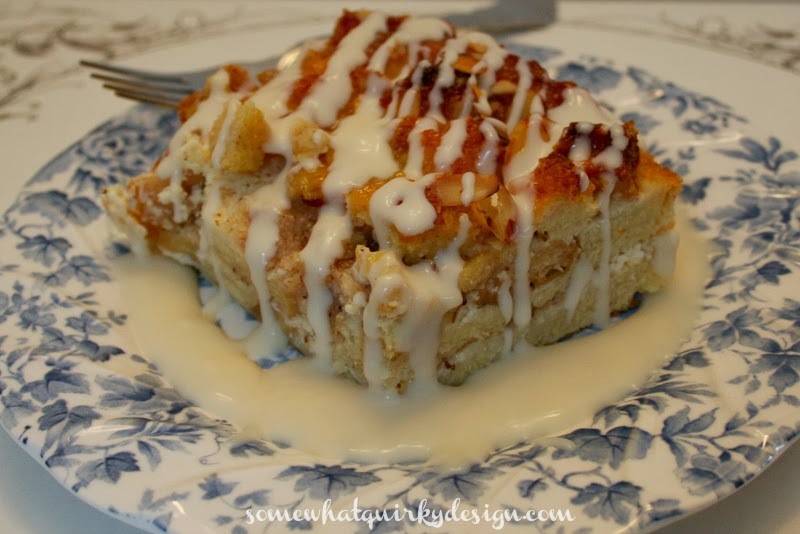 OK...now that you have me CRAVING this, you have got to come over to my Wonderful Wednesday Blog Hop and share it. Please??? ?